Keith Malone received his Ph.D. in Economics from the University of Alabama in 2006 with fields of specialization in public economics and applied microeconomics. Specifically, his work in applied microeconomics focuses on income distribution and tax policy and regional economic development. Keith is a Professor of Economics at the University of North Alabama and a member of the Economics and Finance Department. He has published several articles in journals such as the Journal of Sports Economics, International Journal of Humanities and Social Science, Journal of Business, Industry and Economics, Cato Journal and The Independent Review. Concerning economic development, he has published an article detailing the economic impact of Boeing’s Missile Defense Segment on the State of Alabama in the Journal of Business, Industry and Economics. 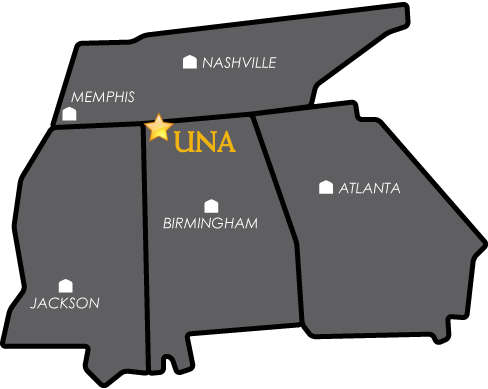 Keith has also delivered economic impact studies to, among others, the Boeing Company, City of Florence, Alabama, Shoals Home Builder Association, Huntsville Housing Authority, Colbert Development LLC, University of North Alabama, E.S. Robbins Corporation, RegionalCare Hospital Partners, and Alabama Road Builders Association.